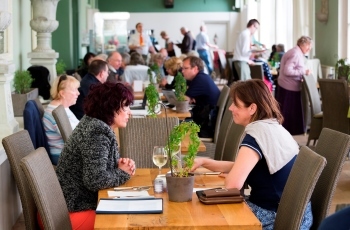 Groups can enjoy first class service from our very own Orangery Restaurant, managed by Absolute Taste. 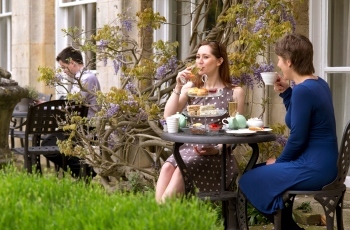 Set in ‘Capability’ Brown’s original Orangery and beautiful Rose Garden, visitors can indulge in homemade food, from carefully chosen local suppliers in a beautiful historic setting. The Orangery has all you need to provide your group with delicious, well presented and healthy dishes to ensure a great day out.Visitors are able to begin the day by pre-booking arrival drinks, selecting from the brunch menu or at lunch time enjoying anything from light soups, sandwiches and salads to hearty warm mains and tasty puddings. In the afternoon a selection of afternoon teas are provided with lighter, full and champagne options. The Loggia, adjacent to the Orangery Restaurant, can provide a private dining space for your group, but spaces are limited so please contact us to confirm availability. To discuss catering options or to add dining to your visit please contact the Orangery Restaurant directly on 01780 761989 or via email at orangery@burghley.co.uk.